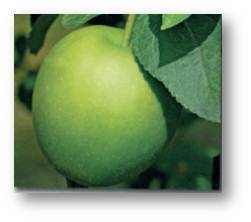 Granny Smith, discovered in Australia in the mid-1800s, is a tart, crisp and juicy late maturing apple. The variety is very prolific and produces grass green fruit. Although Granny Smith can be consumed raw, it has become widely known as one of the most popular cooking apples.